I’ll be honest when I say that I entered the giveaway for this book based on the attractive cover and the premise. Unfortunately, the book delivered on neither (it says it’s a “mystery,” but it had none of that either). There are too many amateur mistakes in this book for me to take any of it seriously. Some of these mistakes are so frustrating that I can’t honestly recommend this book to anyone. It’s a bit sad because a story featuring the spawn of Hitler would probably be pretty interesting. Maybe these interesting stories were in the previous four books, but judging on the errors in this one, I don’t want to read them. Let’s start with the formatting: it’s a mess. Right-aligned text, odd gaps in the paragraphs, and even some text that’s gray for some reason. Moving on to the proofreading errors, they are sprinkled enough through the manuscript to be annoying when they pop up. Finally, there were quite a few continuity and factual errors that were glaring enough that any editor should have caught them. Overall, this book felt rushed, and it didn’t seem to go through much, if any, editing prior to being self-published. Despite this, there were even more frustrating aspects to this book. First, the main character just had events happen to him, most of which made no sense unless this is a midlife crisis fantasy. [SPOILERS] “You’re traveling on a bus and stopped for a break? Here, have a puppy!” “You’re a grizzled and quiet former spy? Here, have women half your age sleep with you!” “You just happened to find a secret mercenary group? Here, have a job!” [END SPOILERS] Secondly, while some of the details like travel time were nice to know, they were presented in the “tell” form and not the “show” form. Plus, it almost seemed like the specific brand names of so many things were included for advertising rights purposes. Third, the current president should have just been named outright. If there’s name-dropping of former presidents, then it’s no question which administration is being referenced here (maybe it’s to hide the straight-up slander). Finally, there’s no way that a 65-year old (at least!) daughter of Hitler looks and acts like a 40-something vixen. 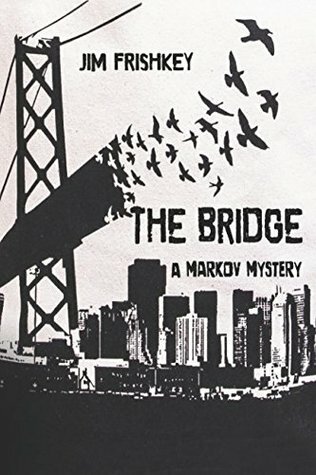 A disappointing book that still needs a lot of work, I give The Bridge 1.0 stars out of 5.